Back to Grace + Ardor Co.
13 Reviews for Grace + Ardor Co.
Erin’s photography and passion for what she creates truly never ceases to amaze me! Our engagement shoot at Rehoboth Beach, DE was everything we imagined and beyond! Erin braved the chilly spring temperatures and whicked winds to capture our love and guide us seemlessly through every beautiful photo she took. Her work is impeccable and her creative eye is unlike any photographer I have seen. She is fun, laid back, organized and most importantly extremely professional! She is truly the best in the business and we are so fortune to know Erin! We have gotten so many compliments on our photos and we could not wait to display them all over our home ! We can’t thank you enough for capturing this exciting chapter in our lives ; we look forward to cherishing them forever! Absolutely loved Erin as our photographer for our big day. Could not recommend her company more for stunning photos and unmatched professionalism! Working with Erin was effortless! I am absolutely in love with all of my photos and would recommend her to everyone. I Couldn't be happier with the end result. Erin came all the way down to Raleigh, NC to do our wedding photos! She was nothing but professional and an absolute pleasure to work with. Her pictures have a beautiful warm glow about them and every single picture we had taken from our big day was stunning. 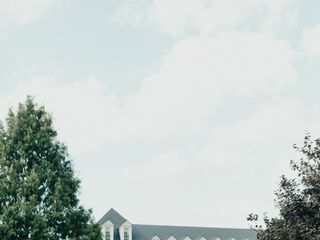 From the little detail pictures of the venue to the candids at the reception, we are just thrilled with how they came out. 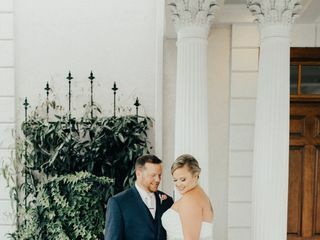 She made sure to capture every moment and it was so much fun going back through and reliving our big day through her gorgeous photos. Her passion for what she does is so obvious when you see her work... I would recommend her over and over again to anyone! Grace + Ardor photographed our wedding at the Free Library of Philadelphia and was a pleasure to work with! We could not be happier with the way our photographs turned out! The entire process of working with Erin was seamless from start to finish. She put together a comprehensive schedule for the day of, took time to meet with us and scope our picture locations, and was extremely responsive. Erin and her second shooter Jessi were a pleasure to work with and went above and beyond on the day of. We received our pictures so quickly after our wedding da and have received so many compliments on our pictures and everyone has raved about how they came out. I would recommend them to all brides without any hesitation! Throughout the logistical labyrinth and many moving parts that is wedding day, Erin and Jessi were able to consistently capture the magic that I experienced upon marrying my wife. From getting dressed all the way through cocktail hour and dancing, Erin and Jessi shepherded us (sometimes literally) through the many poses and positions that resulted in breathtaking photographs. A good photo preserves a memory; a great photo preserves a feeling. Whenever I look at the photos of Elise and I from the wedding, the flood of emotions leap off the screen or print and transport me back to that very, very special day. I could not have asked for a better photographer to document all of the special moments that Elise and I shared, and we are extremely grateful for Erin’s and Jessi’s calm demeanor, professionalism, ability to calm our nerves, and, above all else, a knack for preserving the magic of our wedding in each and every photo. Absolutely LOVED working with Erin & her team at Grace + Ardor Co. Our photos came out better than we could have ever imagined. Working with her every step of the way was a breeze! 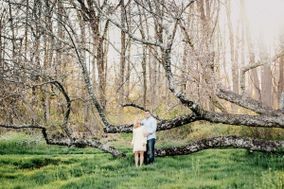 Erin’s work for our engagement and wedding photos was fantastic! For our engagement photos she guided us since we had never taken professional photos and made us feel very comfortable and relaxed. Then for our wedding, she made an outline for the whole day to make sure it went smoothly. I still look at my wedding pictures daily and I am so in love with every one- her work is impeccable! She does an amazing job and I highly recommend her! 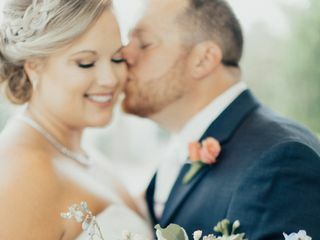 Being a plus size bride, I was really worried about hiring a photographer for my wedding- I thought I would hate how I looked in all of the pictures. 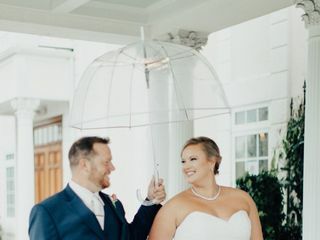 Throw in a raging Nor'easter on our wedding day, and I was convinced having good pictures was just not in the cards for us. I could not have been more wrong. Erin and her second shooter at Grace + Ardor showed up with bells on and weren't even phased by the rain. I can honestly say that I have never, ever, felt more beautiful than I did, when we received our sneak peak photos THE MORNING AFTER OUR WEDDING. We received the rest of our pictures faster than I expected too. Erin is a true artist, perfectionist, and professional. I would hire her again without hesitation, and I recommend her to all of the brides I meet. Everyone that I bump into since the wedding has commented on how fun it was and amazing our pictures turned out. 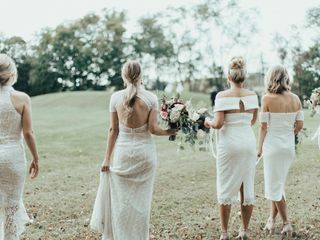 In a sea of photographers that all seem to do the same thing over and over-- I felt like Erin photographed our day in a way that uniquely captured us, our guests, our family, the venue, details, and the energy of the whole day/night. The wedding flew by so fast, but I am so grateful that I will be able to re-live the day/night over and over, thanks to such a great photographer. Thanks, Erin! We used Grace + Ardor from start to finish (stationary through photography), and could not be happier we did! The entire process was seamless, Erin and Tracey were both so professional (and so helpful to me the day of the wedding), stationary was absolutely stunning and so creative, and the photos we just received (and in under 2 weeks time!!) are absolutely flawless!!! We have already received so many compliments on both the stationary and photography, and we will never go elsewhere for either! Grace + Ardor is top notch from start to finish and we will never stop recommending their work. A MUST USE for anything photography, stationary, and/or wedding related. You will not be disappointed! Thank you so, so much to Erin and tracey for the truly flawless work that was provided, and for being so responsive and excited along the way!! We are endlessly thankful! Words cannot explain how talented Erin is from Grace+Ardor Co. We had our engagement session and wedding day captured by Erin and our pictures are just incredible! I cry every time I look at pictures from our wedding day and we've received so many compliments on how gorgeous our photos are. She is a beautiful person inside & out and has such a talent for capturing those moments that you want to keep forever. Thank you from the bottom of our heart for sharing your passion & creativity with us! Erin is incredibly professional and unbelievably talented. She made us feel completely comfortable in what can be a very uncomfortable situation. You can tell she really knows what she's doing, she captures the lighting just perfectly, gives direction without being overbearing, and just makes you feel like shes not even there! Definitely book her! I know will for our all life events! We could not be happier with the photography from our wedding. Erin exceeded our expectations and delivered on every promise she made. I would highly recommend her company. She is young, energetic and delivers a professional service. We are always receiving complements on our wedding photos from family and friends. Our wedding was a rustic theme and Erin was able to make that come out in our photos. My wife and I are so happy we choose this Erin to capture our special day.